So, first, consider how Essential Oils interact with your senses. Scent – Many people are drawn to the scent of Essential Oils as their primary deciding factor. Most are trying to get away from the artificial scents of perfumes and colognes and looking for more natural scents. There are a variety of scents: florals, spices, trees, resins, citrus and the list goes on and on. Actually, most perfumes scents start with Essential Oils anyway. Touch – Essential Oils not only smell good, but they are good for your body as well. They help support moods, boost your immune system, aid with skin conditions and so much more. There are several Essential Oils that are really, really cold to the touch (like Peppermint) as well as extremely hot to the touch (like Oregano or Cinnamon). Taste – Essential oils are extremely potent. One drop of Peppermint Essential Oil, for example, is equivalent to twenty-eight cups of peppermint tea! I love to use one drop of Peppermint Essential Oil as a breath reshener, but I will warn you, it is like an Altoid on steroids! 😉 You can add Essential Oils to your water, tea or coffee and even add them to foods such as spaghetti sauce, chocolate brownies, pumpkin pie and more. The sky is the limit when baking or cooking with Essential Oils. Now, the best way to start using Essential Oils is with a diffuser! Seriously! Especially this time of year! Who doesn’t love the scent of cinnamon or clove or Christmas Trees in their homes?! Or when you need a good night’s sleep? Or, in the case of my house (having an Italian husband who loves his fair share of garlic and onions), after cooking dinner I generally need to clear the air with some citrus or something to Purify the air. Diffusers combined with water simply disperse the benefits of the Essential Oils into the air without heating the Essential Oil. Diffusers are a must have! In our house, we have five!!! 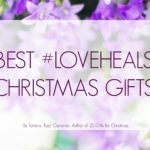 So which Essential Oils make best gifts? Frankincense – We all know the three Wisemen gave baby Jesus Frankincense, but why? Did you know that Frankincense’s nickname is the King of Essential Oils? Let me answer both of those with this: Frankincense is one of the best Essential Oils found in nature. It can help with things like mood, boosting your immune system, cleaning, cleansing a wound, cancer, and so much more. Gifting a bottle of Frankincense Essential Oil is a royal gift of health and well-being. OnGuard – This Essential Oil is a great one to diffuse this time of year, not only for its Christmas-like aroma, but because of its amazing ability to cleanse the air of any impurities (just think if someone sneezes how far those germs travel!). OnGuard is great for sore throats, to protect against viruses and you can even clean with it – whether it’s the kitchen, bathrooms or in your laundry. 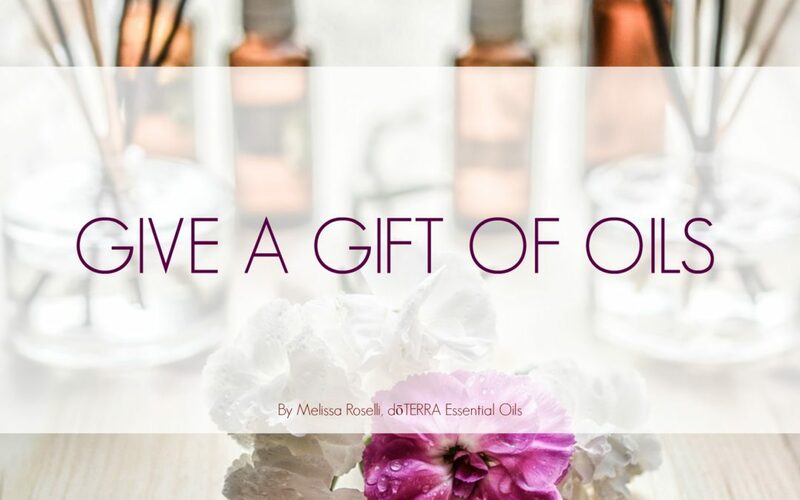 It’s a universal Essential Oil which makes it a great gift. Serenity – Every time I think of this Essential Oil, I think of the Seinfeld episode where George repeats, “Serenity now! Serenity now! !” This Essential Oil is not only calming and peaceful, but it can diminish stress and help to keep your mind calm and settled so you can sleep. I’m sure there are a few people on your list who would love some Serenity! Peace – This Essential Oil provides just that. Literally, when you smell it, you can instantly feel that sense of anxiety or stress disappear. Peace will make you feel tranquil. This past year I was hospitalized three different times with two of those times being in quarantine. Needless to say, my mind was a little frazzled staring at the same four walls for days on end. Diffusing Peace along with Wild Orange in my hospital room got me through without having to take an anxiety pill. 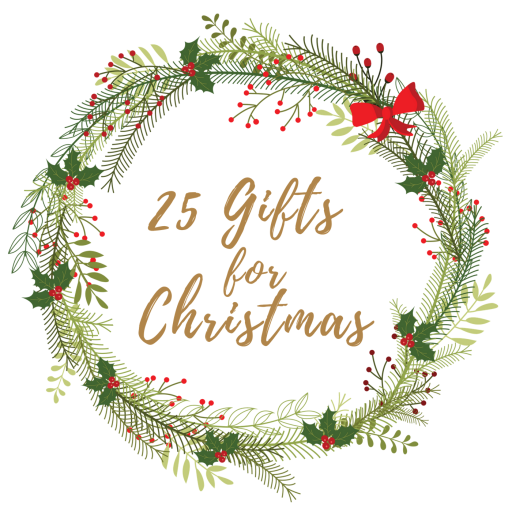 Plus what can beat a gift of Peace? Breathe – Breathe Essential Oil is so versatile. It not only keeps your airways open and your brain alert, but it also helps with coughing and sneezing and …. SNORING! (I love to add that benefit in because most people are like, “get me three bottles of this oil!”) Rub one drop on the bottom of each big toe, and your snoring will be diminished or improved greatly. Also, get Breathe for that friend who loves yoga and meditation. 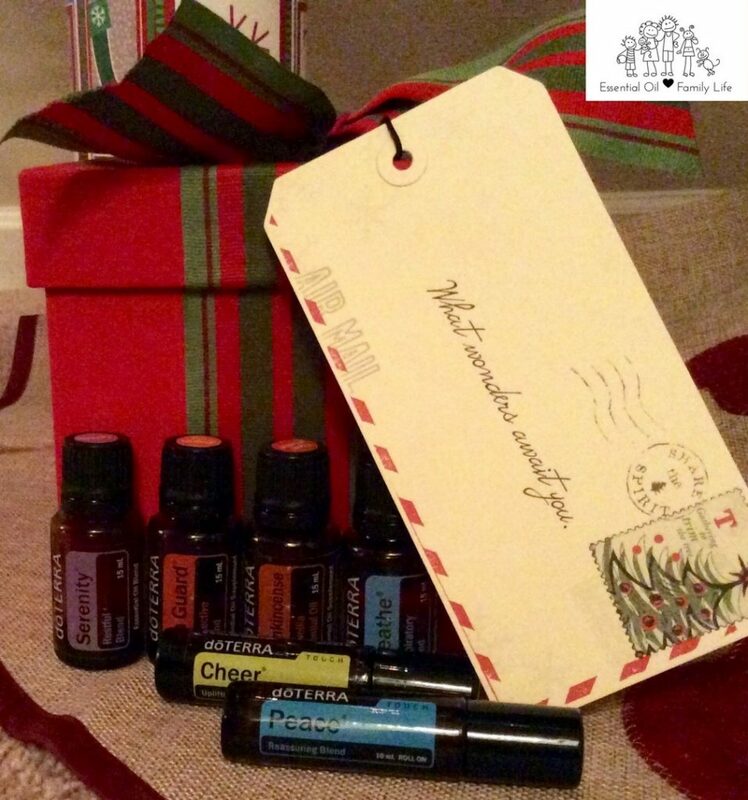 Cheer – Last, but certainly not least, is Cheer Essential Oil. 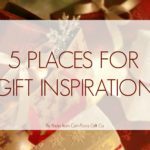 We all know that we need Peace at this time of year, but even the happiest of folks can need a little Cheer, too. When I smell Cheer, I envision the sun. It’s so refreshing with a little touch of warmth to it. Cheer will make you smile and your heart feel like it skipped a beat. Cheer is like gifting Joy for Christmas! 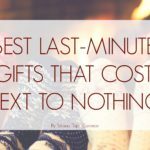 You can also use all of these Essential Oils to make great DIY gifts as well: bath salts, perfumes, bathroom deodorizers, cleaners and so much more. Happy oil gifting and Merry Christmas, everyone! Get your oils at wholesale price by emailing Melissa at roselliandcompany@gmail.com. Email us if you have any questions and to register for a free Online Essential Oil Workshops and Essential Oil Family Life Workshop Events. Melissa Roselli is a wife and mother of 2 boys, co-owner of Essential Oil Family Life, advocate for living naturally using essential oils and camp director.